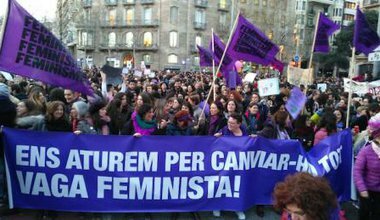 What exactly are we talking about when we refer to the “new municipalism” or “municipalist transformation” as defined by the Fearless Cities movement? 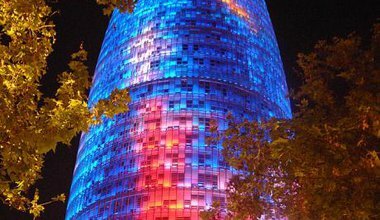 Barcelona’s battle to take its water company back under public ownership is reaching its climax in the courts and at the ballot box. Is it really enough to ‘like’, ‘follow’, and ‘retweet’ each other’s posts and updates? 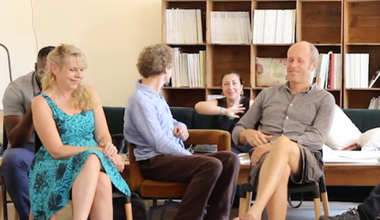 Or do we need something more – co-produced meeting points and collaborative projects in our real/daily lives? More than through any other lens, migration foregrounds gender as a construct that is also at once a process in the making. As an anthropologist and ethnographer, I attempt to gain access to the participants’ memories in the way I would have liked to have been interviewed. 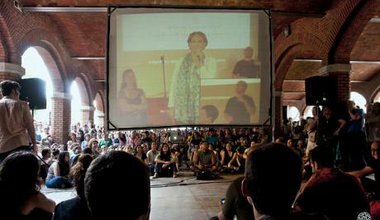 Barcelona's citizens are setting aside the historical baggage of the nineteenth and twentieth century struggles of industrial workers movements, inventing a newly resonant language of rights and democracy. Español. 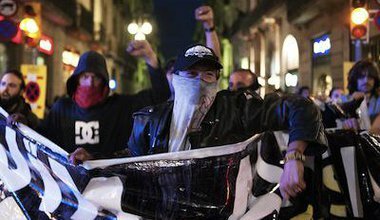 New forms of urban struggle have been emerging in Barcelona. The reconstruction of the Can Vies social centre, half demolished by the state in a botched eviction, has been an inspiring example. But other sites of occupation are under threat. 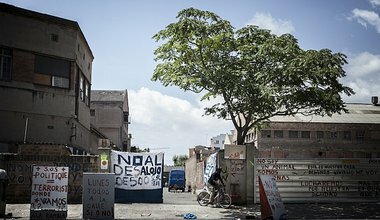 The social centre of Can Vies in Barcelona, occupied by squatters since 1997, achieved global recognition when plans for demolition were met by forceful protest. 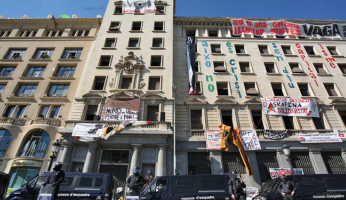 The attention on rioting has masked the hard work of reconstruction by the people of Sants, in a site of urban struggle against austerity measures. 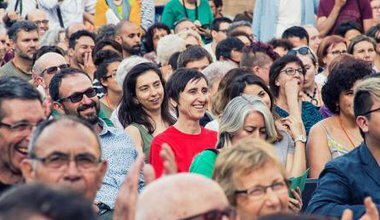 Rather than submit to the noxious dynamics of Spain’s colossal underground economy, the migrant workers of Mount Zion built an informal city in the backdrop of 'brand' Barcelona. On the 24th July the community was forcibly evicted and a humanitarian crisis was born. 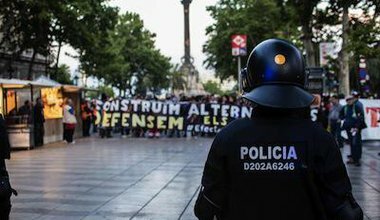 Beyond indignation and in the wake of a housing market crash, a series of daily battles are taking place on the streets of Barcelona over the use and purpose of urban space. 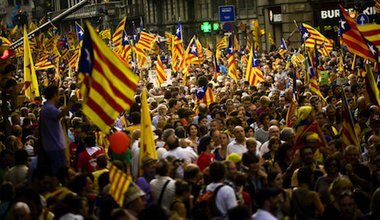 As Catalans massively take to the streets of Barcelona to demand independence, we are reminded that the Catalonian question is far from settled. 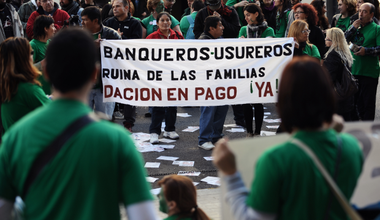 And the current economic crisis exacerbates old, underlying tensions. 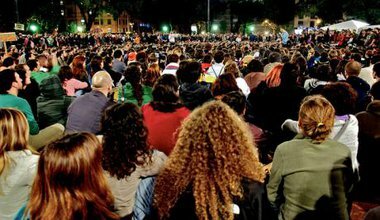 September 11: the world - and Spain - is taken by surprise with the images of over a million people marching down through the streets of Barcelona, peacefully, in a very calm and cheerful mood, with no incidents whatsoever – in itself marking quite a distinctive exception to the trend in these years – but claiming nothing less than In-de-pen-den-cia, Independence. 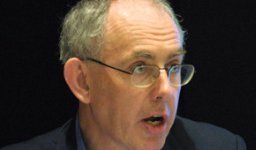 Fred Halliday, great scholar, international fighter for justice and openDemocracy columnist, died on 26 April 2010. We opened our website to tributes which poured in from around the world in an unprecedented, online salute.